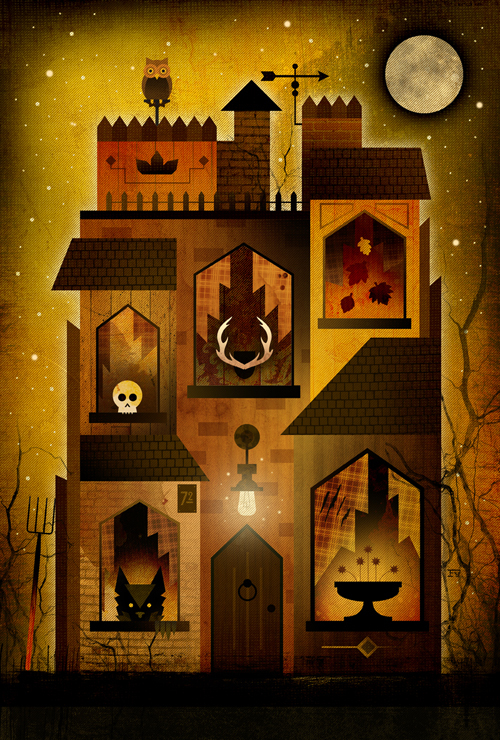 My newest work/newest in my Haunt series is here… The Haunt 5 is yellow with the theme of werewolf. All three print sizes are now available in the shop! Happy October!